Wigan survived Antolin Alcaraz's late red card to stroll into the Capital One Cup third round with a comfortable 4-1 win at Nottingham Forest. The Latics, who have been knocked out of the cup by lower-league clubs five times in the last eight years, avoided an early exit thanks to an impressive first-half performance which totally outclassed their Championship opposition. Mauro Boselli opened the scoring for Wigan before Maynor Figueroa's 30-yard rocket and Jordi Gomez's strike gave the Premier League side a comfortable half-time lead in a dominant display. Forest hit back immediately after the break when Republic of Ireland international Simon Cox unleashed a thunderbolt but, even with Wigan defender Alcaraz's departure in the 78th minute, the visitors managed to keep Forest at bay, with Callum McManaman's last-minute goal sealing the win despite a much-improved performance by Forest in the second half. The hosts approached the game unbeaten in their last five league and cup games and were boosted by the signing of Arsenal midfielder Henri Lansbury ahead of kick-off. With Wigan manager Roberto Martinez making seven changes to the side which beat Southampton 2-0 at the weekend, the Latics were by no means fielding their strongest starting line-up, with only goalkeeper Ali Al-Habsi and defenders Alcaraz, Ivan Ramis and Figueroa surviving in the second-string side. It might have served as inspiration for four-time league cup winners Forest, who looked to impose themselves on the game in the opening stages. 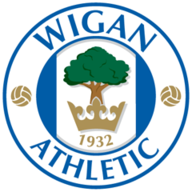 Midfielder Simon Gillett showed his intent when his header went wide before Wigan's Gomez flashed his shot across the face of Lee Camp's goal in a good early chance for the visitors. 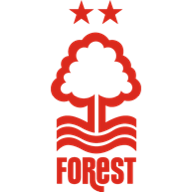 Forest looked to be warming up as Chris Cohen, who was making his first start in almost a year, fired in a testing cross which Al-Habsi scooped up before Greg Halford teed up Andy Reid whose powerful 25-yard effort flew wide. The Reds were having a good spell with Halford again sneaking past the Latics defence but it was Wigan who claimed the lead against the run of play. Boselli headed home from close range in the 25th minute after he met Ronnie Stam's measured cross from the right. It silenced the already-subdued home crowd, who were soon after forced to clap in appreciation when Figueroa fired a bullet from 30 yards into the top-left corner. It was in part down to the good work in midfield by Albert Crusat and Ben Watson's assist, with the defender replaying his team-mates' efforts with a dance of celebration in front of the main stand. Gomez then headed over as Wigan looked to press home their advantage before Reid went close again at the other end with a low, drilled ball which flew narrowly wide. Seconds later, though, Wigan had extended their lead just ahead of the break as Forest floundered. Gomez raced onto the end of Crusat's ball and lashed a blistering strike from 20 yards, leaving Camp with no chance, and Forest reeling with 45 minutes still to play. Knowing they needed to step it up to stand any chance of staying in the cup, Forest hit back two minutes into the second half thanks to a Cox blast. It was the perfect response, the striker blasting the ball into Al-Habsi's net from 30 yards to score his second of the season and give the home side a glimmer of hope. Forest went close again when Dan Harding broke down the left and almost set up Gillet, but the ball was behind the midfielder, leaving an easy save for Al-Habsi. Forest then won their first corner in the 69th minute after good work in the box by Cox as Wigan's defending looked desperate, but Reid's delivery was poor. The home side remained on the attack, and substitute Moloney's low cross troubled the Latics goalkeeper as Cox prowled in the six-yard box. With Martinez poised to make another substitution, Alcaraz made a rash challenge on Guy Moussi to earn his second yellow card, leaving the visitors a man down for the last 12 minutes. However, it was Wigan who scored, substitute Ryo Miyaichi racing up the left and setting up McManaman, who sealed the win with a simple finish in the 90th minute.